The largest knife in Bark River's Canadian Guide series, the Canadian Camp II has been specifically designed to take on the largest of camp chores. Processing wood, clearing an area of brush or slicing rashers of bacon, it can do them all. For such a large knife, the blade lends itself to a variety of tasks and with CPM-3V steel, it can take on even the toughest of jobs. 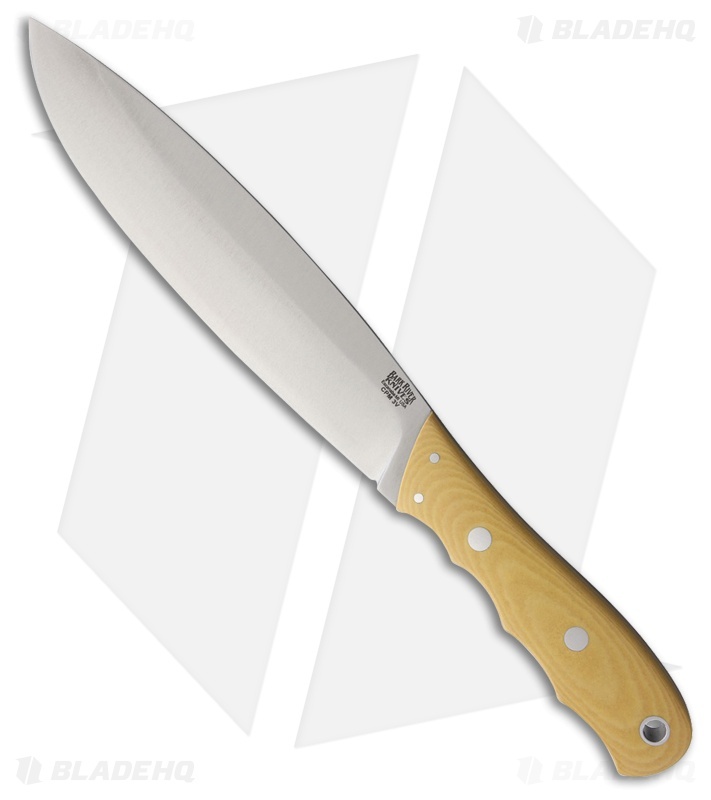 Contoured ivory micarta scales with finger grooves make for a comfortable and secure grip. Carry the Canadian Camp II in the included hand made leather sheath.